The Solar flush plate is an air activated toilet flush that makes a high quality designer finishing touch to in wall concealed toilet cisterns. 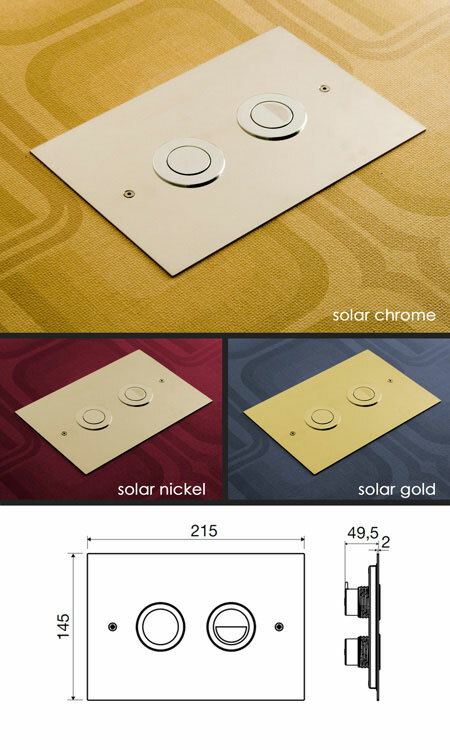 These luxury flush plates have stainless steel back plates and can be supplied in chrome, nickel and gold plated finishes. * Half & full flush.